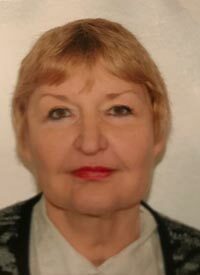 Henrietta has been active in behavioral health services for over forty years as a clinician, supervisor and administrator in hospitals, residential care facilities and outpatient programs serving children, youth, families and adults with mental health, substance abuse and developmental disabilities. She received a MSW from Columbia University and has had extensive post Masters training in counseling, psychotherapy and administration. A Licensed Clinical Social Worker and Credentialed Alcohol and Substance Abuse Counselor, she has had leadership roles with city, state and federal government organizations and community agencies, developing programs and services for special populations including children, youth and adults with life threatening illnesses, victims of sexual abuse and trauma as well as veterans and clients who are homeless or at risk for homelessness. She has publications about performance improvement, homelessness and innovative practices with special populations. As a CARF surveyor for over 21 years, she has surveyed behavioral health, employment and community services and child and youth programs throughout the United States and Canada as well as in Guam, Japan and South Africa. Her leadership, teaching and clinical expertise have been recognized with numerous local and national awards.